What's the difference between the fingerprint lock and RFID? People are now more focus on security and convenient living. The digital door lock is the future trend of living, where people can access all their living space without a single piece of the key. There are so many types of digital lock on the market, likes Fingerprint lock, Password lock, RF card lock. 4. The convenience of not carrying a key5. Suitable to use even if you have 50pax accessing the same door. Almost all digital lock on the market comes with a password, this is to facilitate for friends and family members coming over to your place when you are not at home. Mechanical KeysWe recommends our customers to get a digital lock with a mechanical key because mechanical keys will work even when you have forgotten your password, dropped your RFID cards or even gotten a cut on your fingers. We advise our customers to keep mechanical keys in their office, car, neighbor or friend’s home. Only on very rare occasions will you need one, when you need one, it's better to have one than to be sorry! The choice between these 2 options is really down to personal preferences. Fingerprints are more convenient as RFID means that you would still have to carry an RFID card/tag/sticker with you. RFID is faster to open as fingerprints may take a few tries to unlock your lock when your hand or sensor is dirty. For bigger households, we would recommend getting a fingerprint model. 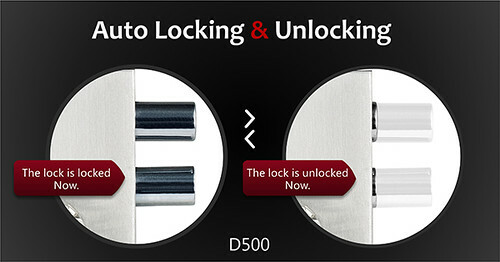 Want to find the best electronic door locks for homes ? Follow and contact us.